DAVOS, Switzerland (AP) — As the world’s financial and political elites convene here in the Swiss Alps for the World Economic Forum, their vision of ever-closer commercial and political ties is under attack — and the economic outlook is darkening. The collective worries have sent a shudder through global financial markets: The Dow Jones industrial average is down nearly 9 percent from Oct. 3. In 2016, U.S. voters elected Trump, who advocated restricting immigration and scaling back free trade, and the British chose to leave the EU. 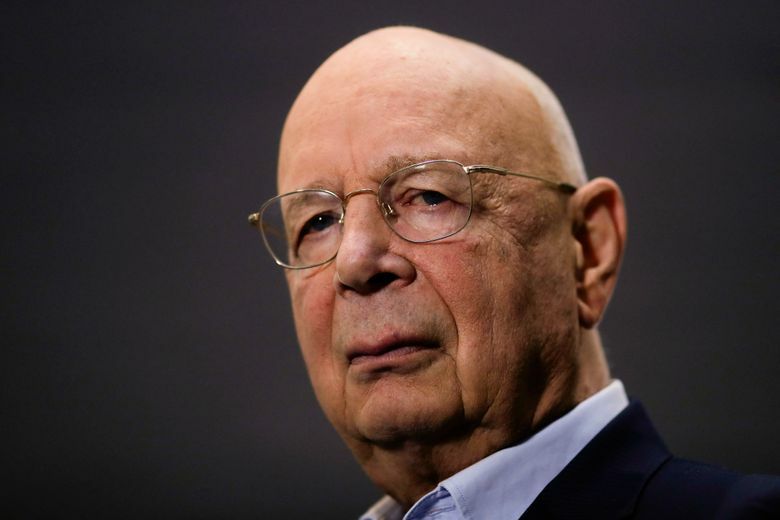 First among them, perhaps, is WEF founder Klaus Schwab. In an interview Sunday, he stressed the need for more global, “forward-looking” cooperation and a “human-centered” approach to technology as populism feeds on fears of a possible economic downturn in many parts of the globe. Globalization produced millions of “winners” over the years, but also “has left certain people behind,” Schwab said at the Davos conference center, where his teams gave pre-event tours to delegations ahead of the formal start on Tuesday. “In the age of social media, you cannot afford any more to leave anyone behind,” he said. Access to the elite gathering, for businesspeople anyway, doesn’t come cheap. It requires WEF membership, which starts at 60,000 Swiss francs ($60,259) and rises up to the “Strategic Partner” level at 600,000 ($602,605). 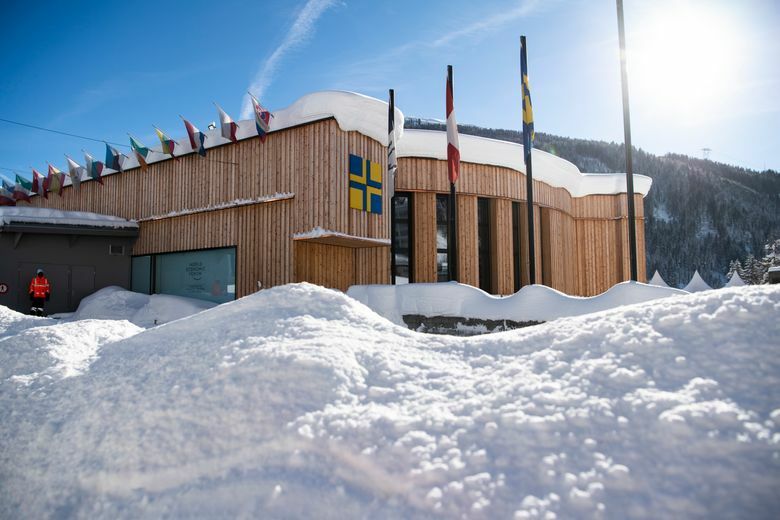 Getting into the Davos event requires an invitation and an extra fee, which WEF spokesman Oliver Cann said is 27,000 francs ($27,117) per person. That’s just for corporate chieftains. Civil society, non-governmental groups, U.N. leaders and governmental officials don’t pay: They get in free. Lodging during high-rent Davos week, however, is another matter. Although Davos is seen as a redoubt for global elites, populists have come, too. Trump got a polite reception when he showed up in 2018, and he had planned to come again this year before the shutdown intervened. Brazil’s newly installed president, the populist Jair Bolsonaro, will attend this year. Even with some key Western leaders missing, organizers say a record 300 government ministers and nearly 60 heads of state or government including German Chancellor Angela Merkel and Prime Minister Shinzo Abe of Japan will attend. About 3,000 people attendees overall are expected this week. Gabriel Sterne, head of global macro research at Oxford Economics, argues that top economic decision-makers have much to atone for. In a report this month, Sterne noted that most major economies performed dramatically worse than expected after the 2007-2009 Great Recession. He blames many central banks — besides the U.S. Federal Reserve — for not responding to sluggish growth more aggressively with easy money policies. And, Sterne says, politicians should have juiced growth with tax cuts and higher government spending. Sterne worries that the populist response “could trigger radical and ill-conceived” policies that overshoot and drive up inflation and swell government budget deficits. The ride could get even bumpier. The World Economic Forum is focusing on what it calls the “Fourth Industrial Revolution” — a series of rapid advances in technology and medicine expected to transform society. Advances in robotics and artificial intelligence could further threaten jobs and feed the populist revolt. Wiseman reported from Washington. Pan Pylas in London contributed to this report.